National League Grimsby have signed Ipswich Town striker James Alabi on loan until 3 January. 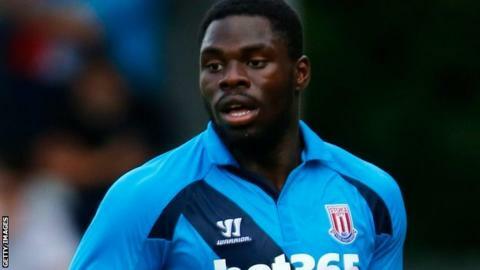 The 21-year-old former Stoke youngster has made one senior appearance for the Championship club since signing this summer, scoring on his debut in a 4-1 League Cup win at Doncaster in August. He has also played at Mansfield, Forest Green, Accrington and Scunthorpe, for whom he scored one senior goal in 2013. Alabi is available for Grimsby's home game against Kidderminster on Saturday.